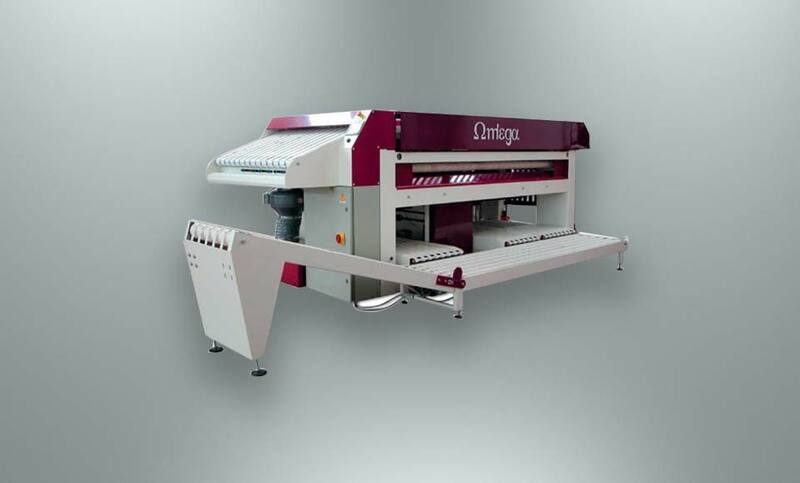 OMEGA is a machine designed to fold items made of towelling and similar items. The dimensions of the item may vary from 500 to 1,800 mm in length and from 500 to 1,200 mm in width. The technique chosen for folding does not use blades or capsizing paddles but belts with reverse movement in order to obtain an excellent quality of the folding and of the final package. In addition, the used system was designed to avoid jamming situations which can block the production. 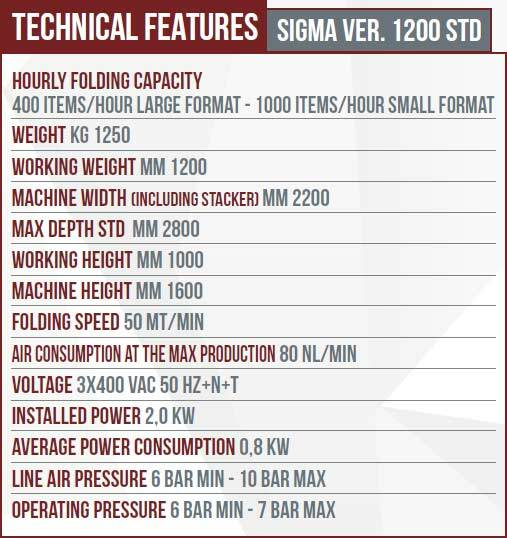 Omega is a very compact machine. Any of its parts can be reached easily for a simple and quick maintenance. The electrical panel is part of the external structure and is immediately reachable. Although the concept is mainly mechanical, it is however fitted with some pneumatic functions. All the drives are with toothed belts.